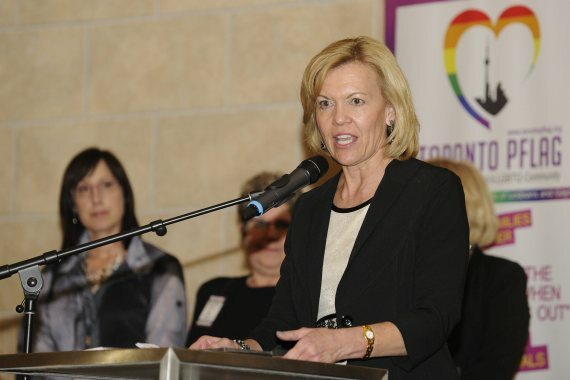 When news broke that Ontario Progressive Conservative MPP Christine Elliott will run for the leadership of her party, many couldn't help but think of the husband she lost just months earlier. In April, at a state funeral in Toronto's St. James Cathedral, Elliott delivered a touching eulogy for former finance minister Jim Flaherty — her partner in life and politics. Yet, for those outside Ontario or not particularly interested in its provincial politics, Elliott's speech and presence throughout that difficult day was something of an introduction to the woman. 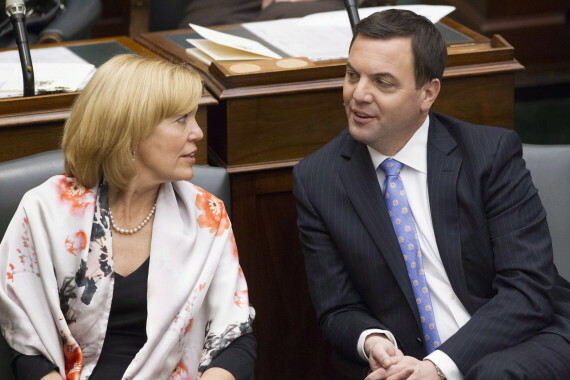 So, when it became clear she would seek to replace Tim Hudak, many news outlets (including this one) ran headlines and stories referring to her as "Flaherty's widow." Some suggested on Twitter that the descriptor diminished, in some way, Elliott's achievements. Maybe we could stop referring to Christine Elliott as "Flaherty's widow" in first reference. 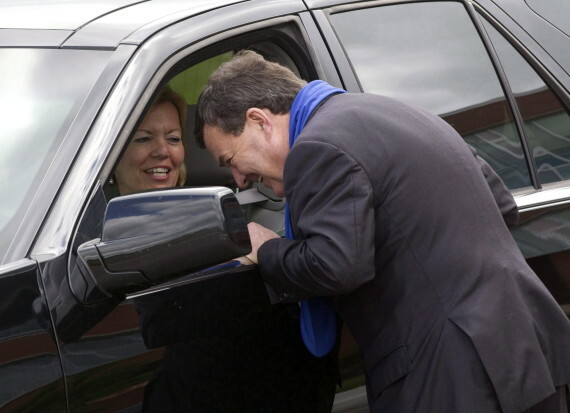 So here's a question for you media types: why describe MPP Christine Elliott as Jim Flaherty's widow? She is accomplished in her own right. Christine Elliot is a politician in her own right. Referring to her as "Jim Flaherty's widow Christine Elliot" in a headline is ridiculous. 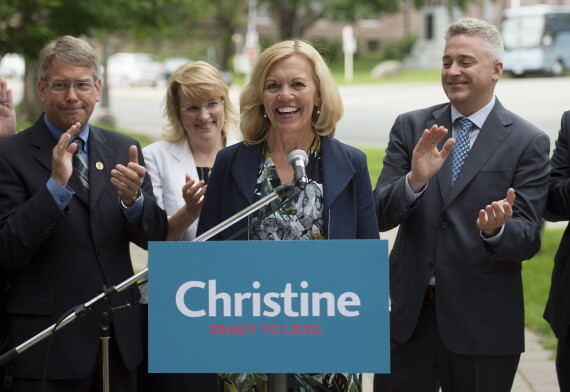 Also, how long does Christine Elliott have to be "Jim Flaherty's widow" in the first line? She's a person with her own accomplishments. After she announced her leadership bid Wednesday, Elliott described herself as a lawyer, entrepreneur, advocate for the vulnerable and a mother. Yet, she was also asked if her late husband factored into her decision to run. "I can tell you that it's something Jim always wanted me to do," she said. "He always wanted me to move forward in whatever capacity presented itself." Here are a few things to know about the first official contender for the Ontario Tory leadership. Elliott was a founding member and partner of Whitby, Ontario law firm Flaherty Dow Elliott & McCarthy. She practiced real estate, corporate and estate law and was also lauded for her pro bono work. She previously worked for the Office of the Ombudsman of Ontario and Law Society of Upper Canada. Elliott has also been involved in her community, perhaps most notably by serving as co-founder and director of the Abilities Centre, a facility for those with special needs. One of Elliott's triplet sons, John, is developmentally delayed. In 2005, she was chosen as Whitby's outstanding citizen of the year. "Fiscal responsibility and social compassion can and in fact must go hand in hand," she told reporters Wednesday. According to a Toronto Star feature published after Flaherty's death, Elliott and her husband debated as newlyweds which one would put their name on a ballot. Yet, her ambitions were put on hold after she became pregnant with triplet sons. "We did talk about that, who would run — she would be the more attractive candidate," Flaherty said in one interview. Flaherty would be the first to jump into the political arena in 1995, serving at Queen's Park for several years before making the leap to federal politics in 2006. Elliott won her seat in the Ontario legislature in a 2006 byelection. She replaced Flaherty, who won a seat in the House of Commons months earlier. But her victory in the riding of Whitby-Ajax was no walk in the park. Elliott defeated Judi Longfield, a Liberal MP for the area from 1997 to 2006, who was bested by Flaherty that January. Elliott won that year by about 1,300 votes. In the election this month, she won by a whopping 10,000 votes. Elliott finished third in the race to replace former Ontario PC leader John Tory in 2009, behind Hudak and former MPP Frank Klees. Elliott won endorsements from several federal cabinet ministers and Ontario MPPs but Hudak was the clear front-runner throughout the race. She presented herself as a centrist voice and was highly critical of Hudak's vow to scrap Ontario Human Rights Tribunals. "If we go down this path and we start taking away the rights of vulnerable people, in the next election, we will surely lose," she said at one debate. Elliott has held a number of important roles in the PC shadow cabinet and currently serves as deputy leader of the Opposition. Elliott said Wednesday her experience as deputy leader has given her "a greater depth of knowledge" than she had in her last run for leader. She also serves as her party's critic for health and citizenship and immigration. Previously, she served as the critic for the Attorney General. When Liberals released an attack pamphlet near the end of this year's campaign showing a Photoshopped image of Hudak laughing as a hospital explodes behind him, Elliott rushed to his defence. She called the flyers a deliberate, "sickening" attack meant to frighten voters into voting for the Liberals. Flaherty easily won the riding in 2011 by nearly 30,000 votes. Elliott told reporters Wednesday she considered going for his seat but ultimately concluded her heart was in provincial politics. "We have a huge amount of work to do," she said.